The Assembly of First Nations wants all federal dollars targeted for post-secondary First Nations students to go directly to bands and bypass the charitable organization Indspire. Indspire, previously known as the National Aboriginal Achievement Foundation, raises funds through governments, corporations, organizations, academia, and individuals, to financially aid Indigenous students in their post-secondary endeavours. In 2017 and 2018, Indspire received the top rating from Charity Intelligence, which ranks charitable organizations for Canadian donors. At issue is not only the $25 million allotted to Indspire in the federal government’s 2017 budget at $5 million for each of five years, but what Tyrone McNeil calls the “soft social policy” being practised by the Liberal government. McNeil, who spoke out in support of the resolution at the assembly in December, told Windspeaker.com in a telephone interview that the Trudeau government is following in the footsteps of the Harper government. “So as a part of that messaging coming out of the government is there’s always been rumblings that (Indigenous and Northern Affairs Canada) and (its successor Indigenous Services Canada) is going to get out of the post-secondary field and farm it out to someone like Indspire,” said McNeil. The government is not honouring its obligation by providing money for bursaries or partial funding, he adds, and certainly not by giving it to an organization and not directly to bands. “We’re doing everything we can to compel the department to understand and appreciate they have to support our post-secondary whether that be our students, our institutions, or our programs delivered in the community. They’ve got a duty to support us,” said McNeil. The resolution states, in part, that the federal government is “obliged to uphold and honour the authority of First Nations to exercise control over education” and that a “distinction based approach” must be taken to meet the unique circumstances facing First Nations and separating them from Metis and Inuit. The first $10 million in federal funding Indspire collects comes from $50 million allocated in each of two years by the federal government in its 2017 budget for First Nations education. “We ran the numbers and $45 million was 10 per cent of the known wait-list on First Nations across the country. So that shows the dire need, the gap between citizens ready to be accepted into post-secondary and those who are funded to go to post-secondary,” said McNeil, who is president of the First Nations Education Steering Committee in British Columbia and who attended the Special Chiefs Assembly as proxy for the Seabird Island Indian Band. Added to the push to not have Indspire control First Nations post-secondary dollars from the federal government is lack of information from Indspire as to how many First Nations students are served. “If (Indspire) can’t demonstrate to us how many, even if it’s (only) status First Nations countrywide, are benefiting, then it leaves too many questions,” said McNeil. When Indspire was questioned about First Nations numbers, it said the figure wasn’t readily available and could be obtained through a study funded by AFN, McNeil said. 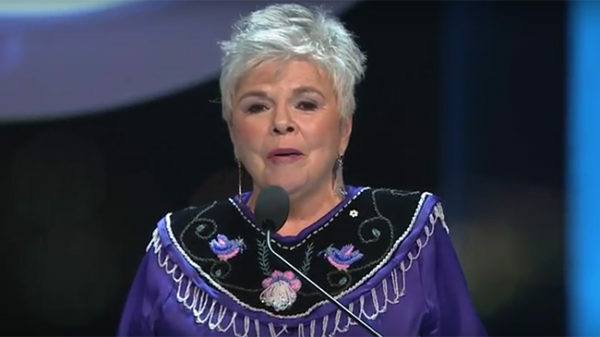 However, in a telephone interview with Windspeaker.com, Indspire Chief Executive Officer Roberta Jamieson said of the $14.2 million handed out in bursaries to 4,950 Indigenous students in the 2017-2018 fiscal year, $8.8 million went to First Nations applicants. According to the 2016 Census of Population, First Nations represent 58 per cent of the Indigenous population. Nearly 62 per cent of Indspire’s post-secondary funding was given to First Nations students. “We are a revenue generator not a drain to provide new money to students,” she said. The federal dollars will be leveraged to get money from other donors as a matching incentive. One of the conditions set by the federal government was that Indspire had to raise at least $15 million from donors. The federal funding has gone into Indspire’s Building Brighter Futures program, which hands out the bursaries, grants and awards. “We’re only meeting 20 per cent of the needs of the students that are coming to us,” Jamieson said, noting Indspire falls $52 million short of meeting all the needs each year. Jamieson said the work undertaken by Indspire and funds raised by her organization do not run at cross purposes to the dollars First Nations bands get to fund the post-secondary education of their members. In fact, she says, Indspire plugs the gaps, making up for dollars students fall short in from what their First Nations give them. She also points out that Indspire has become a common educational cause for many non-Indigenous Canadians, who want to make a “concrete contribution to reconciliation” following the final Calls to Action from the Truth and Reconciliation Commission. Indspire has 11,000 individuals donating a combined $2 million. “I always advocate for increased funds for, not only for Indspire, but also for First Nations, Inuit, Metis communities, colleges, universities, everyone who is working to support our students. Because it’s going to take all of us if we’re going to close this gap and ensure our students achieve their potential,” said Jamieson. McNeil said concerns were voiced at the Special Chiefs Assembly that if the federal government agreed to divert its First Nations post-secondary funds from Indspire directly to bands, Indspire may decide not to support First Nations students any longer. “I understand there is a concern, but when folks become aware of the facts they’ll become very supportive of the work Indspire does,” she said. Jamieson says she does keep in touch with chiefs, letting them know on an annual basis how Indspire has supported each band’s post-secondary students. She has also spoken at AFN conferences, has an information booth at the gatherings and will be at the AFN’s First Nation Directors of Education National Forum on Feb. 13 in Halifax. Jamieson would not say whether she was made aware of AFN’s resolution through official channels, only that she knew of it prior to speaking with Windspeaker.com. “I was hoping the resolution would encourage Indspire to let’s develop a relationship. Right now with no relationship, things like this can happen,” said McNeil.